There’s no place for politics in country music. Well, let me rephrase: There’s no place for former Arkansas Governor Mike Huckabee in country music. 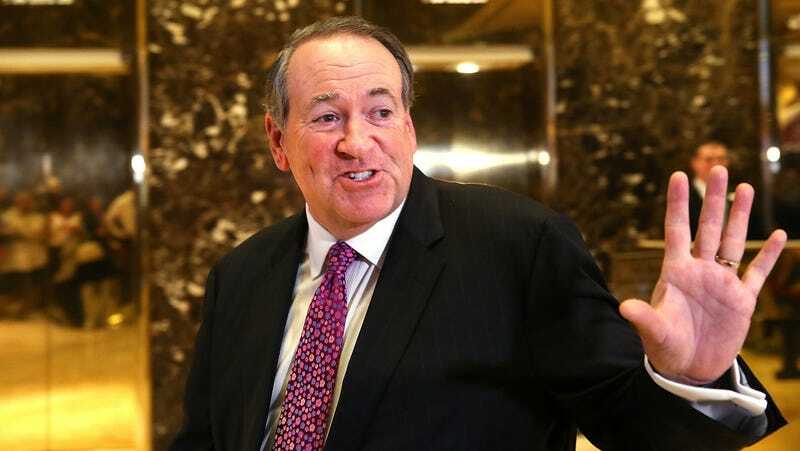 On Thursday, Huckabee announced he was stepping down from the Country Music Association Foundation board, a nonprofit that has invested millions in school programs, just one day after the board announced that he even joined. The feedback from country music fans was harsh and swift against the board’s decision to let Huckabee join. Huckabee speaks of the sort of things that would suggest my family is morally beneath his and uses language that has a profoundly negative impact upon young people all across this country...Not to mention how harmful and damaging his deep involvement with the NRA is. What a shameful choice. What a terrible disappointment to see (the CMA Foundation’s) mission clouded by the decision to align with someone who so frequently engages in the language of racism, sexism, and bigotry,” Pastorek wrote...While Gov. Huckabee’s tenure in Arkansas may have resulted in valuable education reform over a decade ago, I find his choice to spend the past ten years profiting off messages of exclusion and hatred (not to mention the gun lobby) to be disqualifying. So, these members of country music industry have all agreed that Mike Huckabee is a homophobic, gun-loving, bad person and doesn’t want them anywhere near their community. Same, country music, same. Mike Huckabee made a disgustingly transphobic joke. This comedian struck back in the best way.